Every fitness and a self-personality conscious person wants a flat and defined stomach or in the more precise term, it can be said that they give their fullest effort to get six pack abs. As per the fitness trainers, this is only possible when you are giving the full care of your nutrition intake, exercise, and daily lifestyle. So if you are the one who is also dreaming for this, then try our step by step guide for six-pack abs. Toning your muscles and losing fat is not solely enough to get your desired abs, you have to think further and give extra effort than usual people do for getting body muscles at the gym. You have to be very punctual at all your routine whether it is cardio practice, intense workouts, regarding your meal plan and its menu, etc. A good combination of all essential factors only can ensure to get toned abs and even you need to continue with your same effort as long as you want to maintain your abs as it is. Otherwise, in the lack of attention and regular effort after some time, it will automatically start shading from its original look and charm. So to help the new beginners here we have enlisted some effective and helpful step by step guidelines to get six pack abs easily and faster. Both exercise and your diet list carry an important place in your journey to get six pack abs. So you need to focus on both these aspects by giving them importance and priority at a time, in order to make your path easy and your target closer to you. Fitness expert says that healthful and nutrient dense diets are one of the most essential needs of a fit body and when you are targeting for certain body curve then this should be your first priority to select your daily diet list wisely considering its nutrient content. As you are on your fitness plan so fully avoid the consumption of fast food and highly processed foods which are all the big enemy of good health. Also, the nutrient content of these foods is almost zero. Moreover, it will cause more harm than good to you by increasing your cholesterol and sugar level. Also, be smart enough regarding your meal dozes. Don’t emphasize on two to three big meals instead have at least six small-small meals in a day as this will help you to keep your body’s metabolism level at a high level by storing your energy for a whole day activity. Apart from these small meals in a day will prevent the overeating habit which is quite possible if you remain only dependent on the big meals of a day. Giving care on all these important areas of your regular diet plan will speeds up your path to achieve six packs abs otherwise if you only remain dependent on exercise to shred calorie and fat then you have to wait for a very long time to achieve your goal. Abdominal muscles cannot be controlled and toned by solely dependency on exercise, you have to make a wise combination of the right form of exercise and nutrition plan. Cardiovascular exercises like cycling, walking, running, dancing, etc. are helpful to burn calories. Along with that, a combination of aerobic workouts is essential to manage fat over your muscles. Your abdominal muscles are the same as the muscles of other parts of the body like legs, hands, etc. so it equally feels strain and stress when you do exercise focusing on any other body part. So you don’t need to do separate abs concentrating workout every day as a combination of all over body workout on different –different days in a week is enough to train your abs. Moreover, when someone does an intense form of abdominal workout each day of the week to achieve their goal faster than, in the long run, it starts reflecting its negative effect by causing unusual body pain and feeling of frequent tiredness. This kind of issues particularly happens because your abdominal muscles are not getting enough time to recovery which is important to prepare it for the next session of exercise practice. So to get the highest benefit of your honest and hardest effort it is important to go wisely instead of to run blindly behind your target without proper logic and plan. When your muscles will get enough time for relaxation it will recover faster from the strains of the last workout session and get ready with dual-energy for the next session of workout. So keep an interval of at least one or two days in between two abs toning session. In order to reveal more defined abs. you have to reduce your body fat otherwise your all effort will go into vain when your curves are hidden behind your body fat. One popular theory to reduce body fat is to gain fewer calories and expend more each day. This you can easily do by focusing on your daily food intake quality and quantity. Focus more on protein-rich foods which prevents frequent craving and doesn’t adds much to your overall body weight, and avoid the consumption of carb-rich foods especially junk foods and highly processed foods. A fat controlling journey can be easy as well as quite difficult too, depending upon a person, as each individual have a separate lifestyle, and have a different plan for their fat reduction. Moreover, genetics also play a vital role as some people are by genetically blessed by body fat which becomes more difficult to reduce fully. The goal of six packs abs as already mentioned depends on a variety of factors, the proper diet plan is one of those essential pillars that can lead your way successful. The simple theory that you need to follow in this regard is to gain less calorie than you burn on each day either through workouts or through your restricted diet plans. Avoid the consumption of carb-rich diets and sugary foods as both of them are primary factors to add more mass to your body which is the enemy of a well visible and toned muscular body. Most of the foods are rich with carb which you are supposed to avoid till you are not achieving your goal. Apart from this avoid all sugary foods and beverages too as they contain carbs in the hidden form. You can always include fresh and juicy fruits of season and vegetables that mainly contains lean protein like broccoli, spinach, beans and many more. Apart from this fiber-rich food items will be another good choice for you in your journey to obtain six pack abs. Fiber gets digested in your body easily so as long as it will exist it will make your stomach feel full and prevent your frequent craving habit. Getting defined abs needs proper technique and focus. Abdominal area of the body is divided into three layers so you have to tone each one of them separately so that your abs get visible in the eye of everyone. The secret of getting fast and desired abs is to be consistent on the workout practices along with giving the good care of nutrition intake so that your journey would not be stuck in the mid-path in the lack of good health. Give at least 15 to 20 minutes time on workout practice in the interval of 2 to 3 days. Practice intense abs focus training and give proper rest to your body so that it can get time to recover. Target the specific area of abs for training including Lower abs, Upper abs and Oblique. Tone your lowers abs with exercises that can put stress on the lower level of the abdominal area. Keep your body stable and raise your legs one by one on the upward motion as a simplest and short form of workout. Some effective exercises include mountain climbing, decline bench reverse crunches, captain’s chair leg raises, etc. Practice those physical activities that focus on the upper abs portion in order to tone it for getting defined shape abs. This you can do by stabilizing the lower torso and bending your upper body area towards it. This special workout will put its stress on upper abs by shortening the width between pelvis and ribcage. Some popular exercises for upper abs training include machine crunches, decline bench crunches, and rope cable crunches. The oblique area lies between the upper abs and lower abs which is considered as an important section of your six pack abs training program. You can tone your this particular area of the body with the help of lightweights that will put light but consistent stress and effort to get a toned and defined abs faster. Some effective workouts that can train obliques include decline bench Russian twists, cable wood choppers, captain’s chair oblique raises, etc. Core muscle training of the midsection of the body is not as difficult as people have spread a rumor against it so anyone can be an owner of well-defined abs with the combination of all essential aspects to get it. As per the popular fitness trainer teenagers and youths under aging 20 are more obsessed for muscles and abs and they easily can get them because of their initial stage natural body structure and high level of enthusiasm. However, in the later age, it is not as easy as in the earlier stages of life because along with age men and women starts putting weight naturally which makes the task of core training much more difficult for them. Still, with the regular and consistent effort, the dream of six pack abs is possible even in the 30s and 40s of age. Yes, of course, you need to put some extra level of effort that a younger age person needs. One another fact regarding getting six pack abs is that it is easier for men to obtain this defined muscle appearance than the women because of the natural differences in their physical appearance. Women naturally get more fat than men in the middle section of the body because of their internal body structure which is favorable to conceive and develop a baby in the abdomen area. 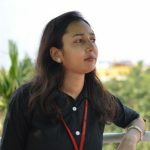 Apart from this an intense form of workout focusing on the lower section of the body can affect their normal menstrual cycle and the possibility exists that they might not get period for few months which is not good for their overall health. Six pack abs necessity and desire is not always driven by a smart and dashing look appearance but it is sometimes necessary too especially if a person is affected from some health-related concern such as in the cases of obese people. So you cannot count a person having six-pack abs in a healthy list as it is not a symbol of good health. Do not train your abs every day; 3-4 times a week is just fine. Keep your meals small but often. One important thing that you have to care for is that you cannot expect your appearance of six-pack abs as it is long time process and you should not lose your health internally. That means along with focusing on your intense exercise plan, you equally have to focus on your regular dietary intake so that your inner health don’t get affected due to your affection for an external good look. Make sure that your plate is full of nutrient-rich foods all the time. Also, make changes in your diet plan from time to time so that you don’t feel bored out of a monotonous diet routine that can automatically reduce your appetite which is not a sign of good health. Your target is to stay lean with defined muscles group especially the middle section of the body which you can maintain with a regular healthy diet plan. Have a full plate of salad including veggie and fruit salads as it is the ultimate source of nutrients and a way to get lean muscles in the body. Take a full plate of salad in your breakfast which is the most important meal of the day. A weak body neither concentrates mentally nor can it give its full effort on any physical activity like exercising. So never miss your first meal of the day i.e. breakfast which will keep your body energetic throughout the day and also prevent frequent cravings for unhealthy snacks. You cannot avoid carbs fully as they are also essential for your health but have them in a prudent way. Just like breakfast your evening meal is equally essential to keep your body fit and healthy. Take a full plate of all the nutrient dense foods including carbs too in a little quantity as your body needs everything. Fill your plate with more protein diet and with salad. Evening meal should not be taken at a very late night which is unhealthy. Do little cardio workout for a peaceful sleep at the night time as a fit body needs proper rest. Moreover, sound sleep in night prepares your body for the next day exercise plan. 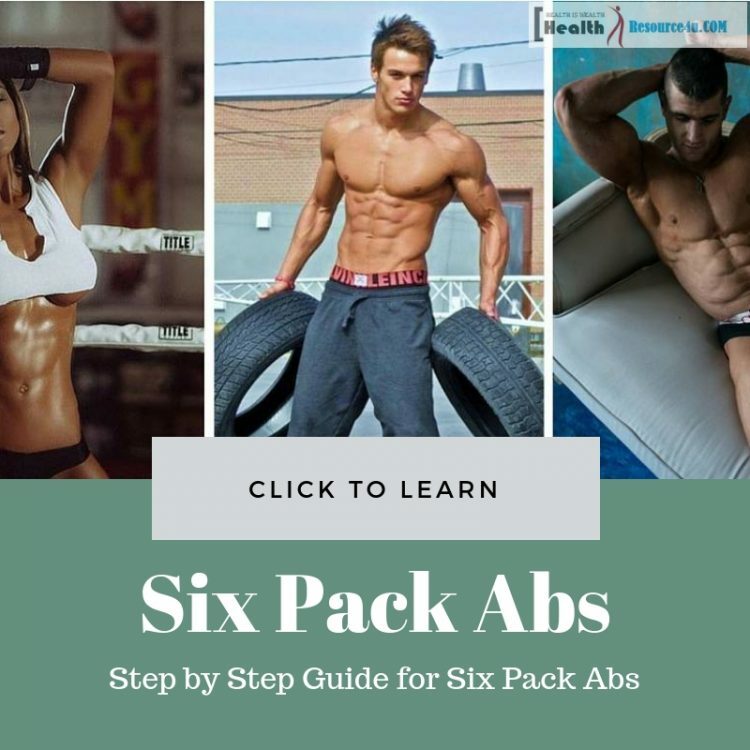 Friends our step by step guide for six pack abs will surely help in your way to get defined and toned abdominal muscle without affecting your overall health. So follow them and get your dream look or appearance true.